A visual comparison to spot the differences of the Toyota RAV4 2019 vs FT-AC concept. 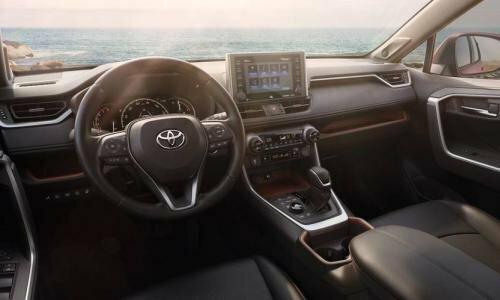 At this year's New York Auto Show, the much-awaited Toyota RAV4 2019 has been officially introduced to the world, showing off a stronger 'heart' underneath a rugged design. In particular, the crossover is now equipped with a new 2.5L inline-4 powertrain which works in a conjunction with an 8-speed automatic transmission or a hybrid CVT. Meanwhile, the rugged styling cues can be found in both the exterior and interior, even though the outside of this vehicle seems to receive more noticeable refreshments. Walking around, the RAV4 looks aggressive yet still elegant. The whole body, from the front to the back features a striking look which can be well fitted for both on or off-road style. 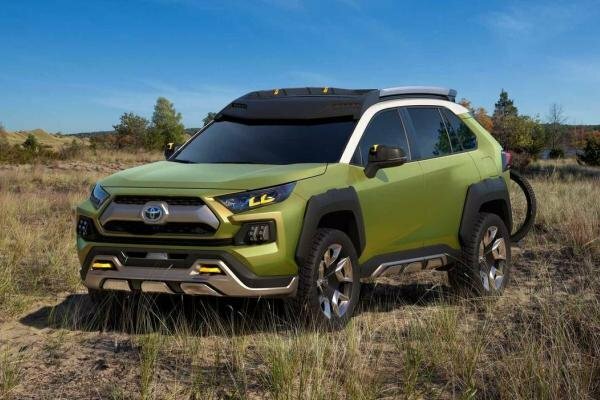 Generally, the overall desgin of the crossover evokes a mixed style between the Tacoma and the Future Toyota Adventure Concept (FT-AC) which was launched at the 2017 Los Angeles Auto Show. 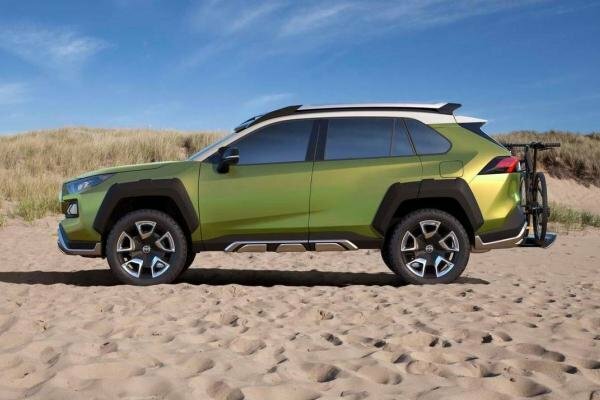 And now, Philkotse.com will bring our beloved readers a clear view of how the all-new RAV4 is different from its original FT-AC concept via a visual comparison, from the outside to the inside of the two models. Let’s take a look at our Toyota RAV4 2019 vs FT-AC concept comparison to spot the differences! 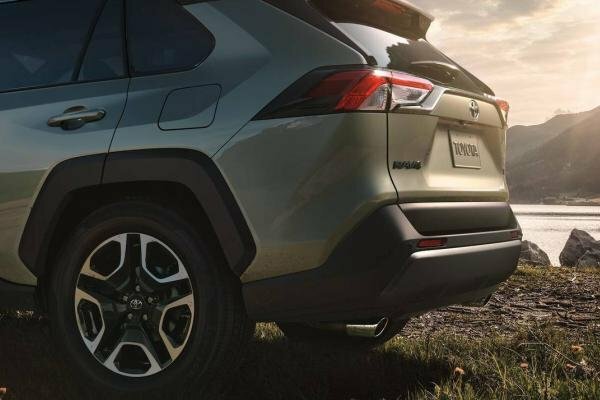 The Toyota RAV4 2019 is said to be “chiseled” which perfectly combines the charisma and athleticism. Especially, the Adventure version boasts the most “chiseled” style in the lineup. 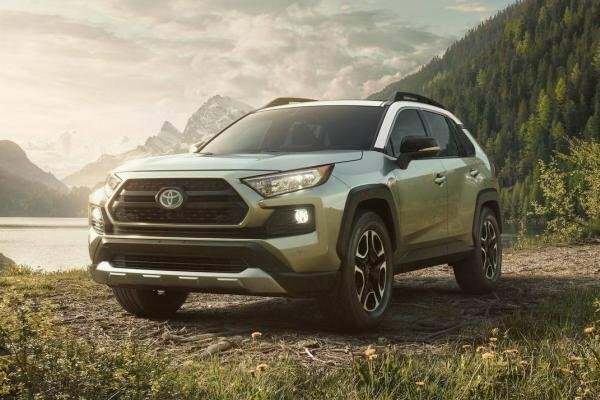 The RAV4 front fascia inherits a rough look which is almost identical to the FT-AC concept, finishing with a 6-sided grille, a silver skid pad, angular and sharp headlamps and lower accenting trim with fixed fog lamps. Your eyes might be easily cheated when distinguishing the two models. 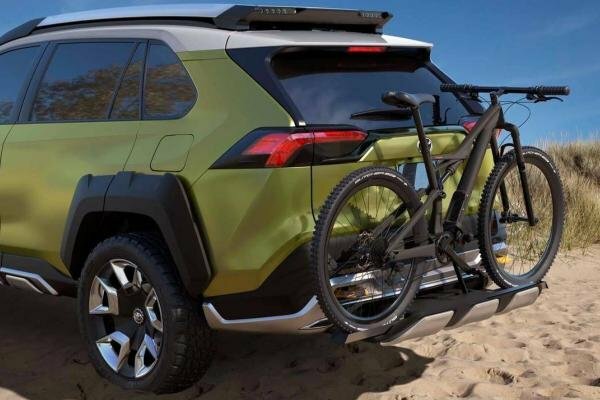 The most significant difference between the new Toyota RAV4 2019 vs the FT-AC concept can be shown on the side of each model. The RAV4 gets the similar body cover on its bumpers and still retains the same designed wheels of the concept. However, the FT-AC seemingly has higher ride and glossier with a steeper roofline than the 2019 RAV4. The revamp also appears on the door handles which aren’t adorned for the concept. Moving to the rear, it is not a different story. 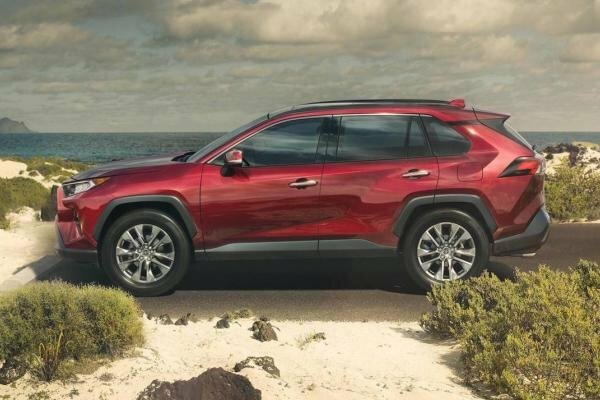 Most angles of the RAV4’s back look similar to the concept, from the pronounced diffuser, the uniquely shaped taillights to the raked rear window. Depending on the version, the Japanese brand will add or take off the similar silver wrap equipping on the front bumper of the RAV4. In general, it still looks relatively attractive and not too edgy. Unfortunately, Toyota has never actually brought us a clear look at the FT-AC concept’s interior. 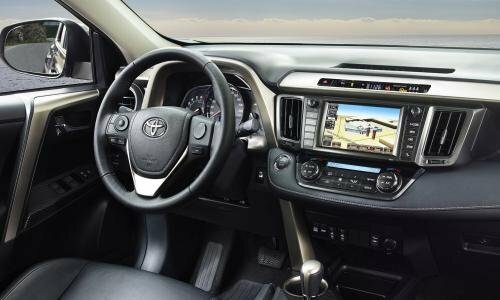 But it is sure to say that the cabin of the new RAV4 has received considerable updates in comparison with the Toyota RAV4 2018. The center of the cabin is highlighted by a fresh tablet-style 7’’ touchscreen, an option for an 8’’ one is also available. The 2019 interior is made of premium materials and comes with a greater ergonomics.